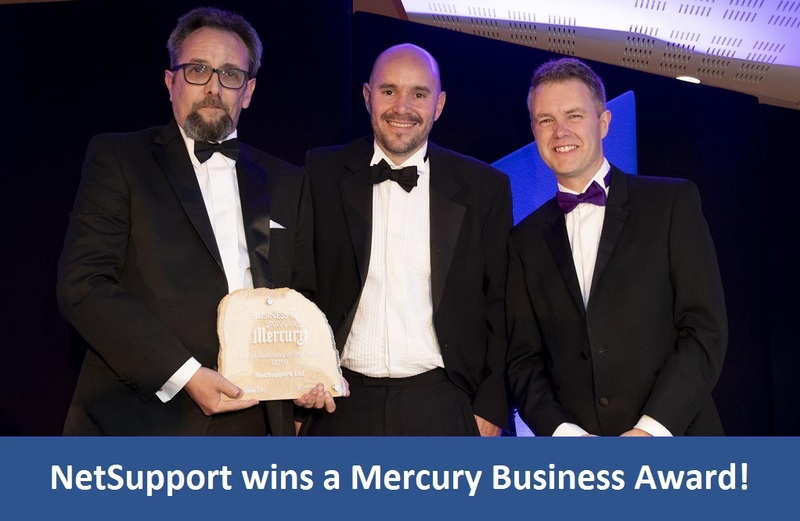 The Mercury Business Awards celebrate all that is great about business in the Stamford and Rutland area and this year’s winners were crowned at an awards ceremony at the Greetham Valley Hotel in Oakham on Friday 21st September. NetSupport is thrilled to announce that it was named winner of the Large Business of the Year category! Hosted by Rutland Radio’s Rob Persani, the winners of the 10 categories each took home a trophy made from Lincolnshire limestone. There were 31 businesses represented with three or four businesses shortlisted in each of the categories. A special supplement will be in this week’s Mercury, featuring pictures and full reports from the night – out on Friday, 28th September.